*Lindsay’s Note: Melissa Joulwan is a paleo superstar. She is the author of the “Well Fed” Paleo / Whole 30 Cookbooks and blogs at meljoulwan.com. When I did my first whole 30 three years ago, her article on “30 Reasons To Do a Whole 30” was one of the first articles I read about the program and I will always remember it. Then a couple weeks ago something amazing happened. I had the opportunity to interview Melissa! I love her cookbook and have made her Chocolate Chili twice in the past month. It must have been a sign of good things to come! Melissa is currently busy working on her new cookbook. Check out what else she’s up to on this exclusive Fit & Awesome interview. 1. Tell us a little bit about how you got started with the Paleo diet. How did you get to where you are today? When I’m being snarky, I say that I started paleo for reasons of vanity and stuck with it for my health. That’s not too far from the truth: I was a chubby, inactive kid and an obese young adult. In my twenties, I decided I wanted to change my life; I started learning about nutrition basics and exercise. It was a huge surprise to me, and pretty much to everyone who knew me, to find that I really loved to move. I did kickboxing, triathlons, every flavor of aerobics classes, long distance cycling, running, tennis. Once I discovered I liked to work out, I wanted to do it all. That encouraged me to dig into the best way to support my activities with the right food. Fast forward to 2009, I was an avid CrossFitter and everyone was talking about this paleo thing. I wasn’t originally convinced that excluding grains and dairy would be beneficial, but when I eliminated both of those things, I saw immediate changes. I wasn’t bloated at the end of the day and my sleep improved. My clothes got a little looser, my skin glowed, and my energy was consistent all day long. Then, at a visit to the doctor, we found a nodule on my thyroid. I had to undergo surgery to have most of my thyroid removed, which meant I instantly became hypothyroid. After that, it became even more important for me to keep systemic inflammation low and to eat very cleanly to manage my weight and track how well my thyroid medication was working. It’s been six years since my surgery, and I’m now as healthy as I was before the surgery. Eating paleo kept me sane and as fit as I could be while going through that experience. I started out as a skeptic, but I’m a true believer now. 2.What tips do you have for someone who wants to go paleo, but not all the time? 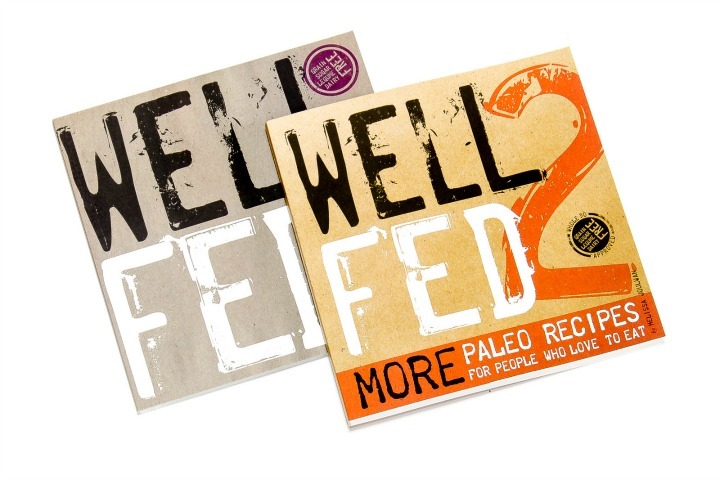 Is there a way to live “partly paleo” or in between? How do you suggest someone does this? It breaks my heart a little bit when people think that eating paleo is like being in food jail. Paleo is at its most helpful when it’s used as a framework. The guidelines—no grains, dairy, soy, legumes, added sugar, or alcohol—eliminate the most inflammatory foods, but we are all each special, special snowflakes. If a person doesn’t have an issue with something like grass-fed dairy, there’s no reason for them to exclude dairy all of the time. The way I manage my “eating rules” is to eat only paleo foods at home; there’s nothing in my kitchen that doesn’t fit into the framework. This approach gives me some wiggle room to have special treats on holidays or at a favorite restaurant. When I first started, it was challenging to always feel like I was giving things up. But now, it’s peaceful and comfortable. I know, for example, that popcorn will make me feel extraordinarily grumpy 36 hours after I eat it. Sometimes I still choose to eat a big bowl, and I accept the consequences. It’s very powerful to know what reaction my body will have and to make the conscious decision to indulge, rather than mindlessly noshing my way through life. I think the biggest take-away from eating paleo is that you learn how to approach food with intention and deliberate decisions. For people who are trying to find their personal approach to paleo, I recommend a 30-day elimination diet like the Whole30. After the 30 days of being super strict, you reintroduce foods back to your menu, one at a time, to see how you react. When you know what works for you, you have a lot more freedom to make the right choices. 3. Some people think paleo recipes are difficult to make or require too much time in the kitchen. What are some recipes you recommend that are easy to make and something a person new to paleo would love? There’s no denying that eating paleo does require more home cooking than the “just eat whatever you want” approach. Unfortunately, most packaged food includes soy, corn, and added sugars, all of which diminish the nutrient density of the food. Paleo food doesn’t need to be complicated or overly time-consuming, but it does take some time. Keep it simple at first. You don’t even need a recipe for basic, but delicious, paleo meals: roasted chicken, baked sweet potato, salad with toasted pecans and blueberries; grilled steak with roasted Brussels sprouts and a baked potato with ghee; or a big salad with poached shrimp or salmon with lots of fresh veggies. Those are pretty standard meals that healthy people eat all the time! These can all be made in big batches and frozen, so all it takes is a defrost and reheat to get a meal into your belly. I’m also a big advocate of a Weekly Cookup where you spend a few hours in the kitchen one day a week to crank out a bunch of food to load into the fridge. It’s an investment of three to four hours at once, but it means a meal can hit the table later in about 10 to 15 minutes. One of my most popular posts is a 1-week food plan that includes recipes, shopping lists, and step-by-step instructions for how to cook everything as quickly as possible. 4. Do you ever take a “cheat day” or eat foods that are not paleo? Why or why not? I like to call the non-paleo foods I eat “treats” instead of “cheats.” Even though the paleo framework has a yes/no list of foods, I don’t like to think of foods—and, therefore, myself when I eat them—as good and bad. It’s just food, and some foods make me feel crappy when I eat them. And yes, I do eat treats sometimes! I avoid gluten almost all of the time (exception: baguettes in Paris), and I generally avoid dairy because it makes me feel really lousy. But I will go to town on french fries from time to time. I love an ice cold glass of Prosecco. On Saturday mornings, I usually split a gluten-free blueberry muffin with my husband Dave after our workout. And when we travel, I sample the local food like it’s my job. Over the years, we’ve slowly transitioned our holidays to be completely grain-free, but we definitely eat more sugar at Christmas or birthdays. For me, the treat has to really be worth the potential downside afterwards, so I’m pretty picky about how I indulge. 5. How long does it take to make a real change? For example, if someone is going to start on a strict paleo diet how long would you recommend they stick with it? I think the first 30 days, with no treats, is really essential. That month gives the body time to heal inflammation and to relinquish the hold that sugar can have, both physically and mentally. Some people might need to stretch that 30 days to 60 or 90, depending how much sugar and processed food they’ve been eating. After that, I think it’s a really good idea to do a re-introduction of foods you think you want to eat and see how it goes. For example, I don’t really care about being able to eat legumes, so I didn’t do a reintroduction of beans. I don’t eat beans, and I don’t miss them. But I was very eager to see what happened when I ate corn. Sadly, it wasn’t the best reaction—and that’s how I know that corn is a trigger food for me. I would never have learned that without the 30 days of clean eating. 6. What type of exercise do you recommend for someone who is just beginning their paleo journey? I’m a big advocate of strength training. BARBELLS FOR EVERYONE! There are so many emotional and physical benefits to getting strong. Strength training builds muscle, improves bone density, enhances body awareness, and just feels really, really good. I like to balance the iron with body weight exercises—lunges, pushups, squats, mountain climbers, planks. I also think it’s equally essential to reinforce the softer side with meditation and yoga, to quiet the chatter of modern life and infuse the body with oxygen. And walking. Walk as much as you can, as often as you can. 7. How do you balance it all? [Give me a sec to get my laugher under control.] Keeping all the balls in the air makes me think of a teeter-totter. True balance means you’re always moving a little bit, making micro-adjustments to stay upright. It’s not a stationary, “I’ve got it!” kind of situation. I have three things that are non-negotiable and form a foundation for me: I lift weights twice a week, I meditate every day, and I eat clean at home. When work life or family stuff makes me feel unbalanced, I rely on those three things to keep me healthy. But sometimes work takes precedence and my session at the gym has less intensity—or we’re traveling so I walk more than usual but eat in restaurants the whole time. By having a paleo framework and those lifestyle tent poles, I can kind of roll with whatever comes up until I get back to my routine. I just finished testing all of the recipes for my next cookbook, which meant a few months of cooking all day for three days a week. With that enormous task completed, I’m turning to writing, which means my workouts can take center stage again. My approach is less about balance, I think, and more about ebb and flow. 8. If you had one top tip for being Fit & Awesome, what would it be? Despite what most magazine covers tell you, food is neither punishment nor reward. You don’t have to deserve to eat, and you don’t need to earn your food. You’re worthy every day of eating delicious food that nourishes your body. You are worth the investment of a little kitchen time to prepare and eat healthy, delicious food that strengthens your body and spirit. 9. Do you have any specific recipes that you would like to tell us about? What are they? There you have it. The exclusive interview with Melissa Joulwan. 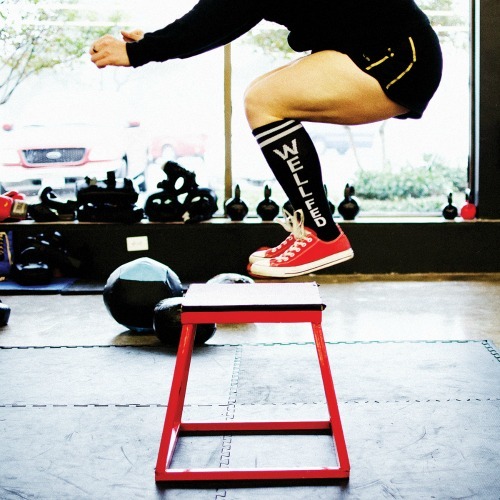 I would like to thank Melissa so much for agreeing to be interviewed for Fit & Awesome. You ROCK! What about you? Have any questions for Melissa Joulwan? Post in the comments and maybe she will be kind enough to pop in and answer the for you! Melissa Joulwan is a paleo superstar. She is the author of the "Well Fed" Paleo / Whole 30 Cookbooks and blogs at http://meljoulwan.com. Read more about her journey in this exclusive interview on Fit & Awesome. AMEN! “Food is neither a punishment nor a reward.” I wish some people I knew would believe this. There’s got to be more ways (?) to get it through thick skulls that food is there for your nourishment and enjoyment. I hate when I see someone post that they’re “cheating.” Ugh. Just allow yourself whatever you want to eat – just eat it at moderation. 1 – You don’t have to eliminate all these foods. If there’s one you think is causing you issues focus on that. 2 – Beware the false positive! When you abstain from eating certain foods for a time, you lose certain enzymes and gut bacteria that aid in the digestion of these foods. Upon reintroduction, you may experience gastrointestinal “symptoms” that are really just due to the lack of said enzyme/bacteria. These will build back up over time as you continue to consume the food. Don’t needlessly eliminate an entire food group without THOROUGHLY testing yourself a number different times. This was a great interview! I know very little about the Paleo diet, so it’s great to hear from other people’s experiences. I did a 21 day reset recently to avoid excess sugar and it’s amazing how our body can get addicted to it. The recipes look delicious! Such an informative interview with great tidbits on how to successfully approach the paleo diet! Love the “treats” not “cheats” idea! I love the idea of thinking of things as treats instead of cheats! Great interview. food is neither punishment or reward – PREACH. It’s SO hard to break out of that mindset but so worth it. I tried paleo and whole 30 once but don’t think it’s for me. However, I try to stick to some principles, like not eating as much grains and eliminating refined grains/sugars. I am all about moderation as well!